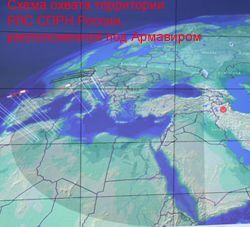 On December 9, 2012 Russia formally notified Azerbaijan that it is suspending the use of the Daryal early-warning radar in Gabala. Russia has been leasing the Gabala site from Azerbaijan under the agreement that entered into force in 2002. The two sides were negotiating an extension of the lease, but that effort has so far failed as they could not reach an agreement on the price. Under the 2002 agreement, Russia was reportedly paying $7 million a year. Azerbaijan wanted the price to go up quite substantially, but Russia disagreed. The two sides appear to continue negotiations, but Russian officials were reported as saying that unless the conditions of the lease remain the same, Russia would prefer to abandon the station. Russia's position at the negotiations is fairly strong. The radar is one of the first Daryal radars that went operational in the 1980s - the other one is Daryal in Pechora. Even though age doesn't really matter that much for a radar, it is rather old. 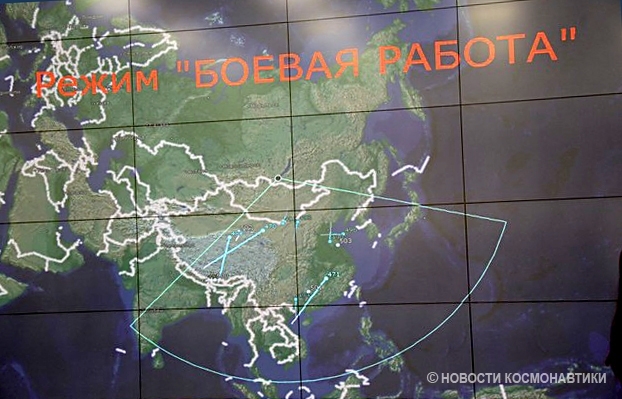 Then, one of the two Voronezh-DM radars that Russia is building in Armavir should be able to compensate for a loss of the Daryal in Gabala (see the map on the left). The second Armavir radar is not yet in service - it is undergoing what is called "state acceptance tests," which are expected to complete this year, so the radar could begin combat duty in early 2013. 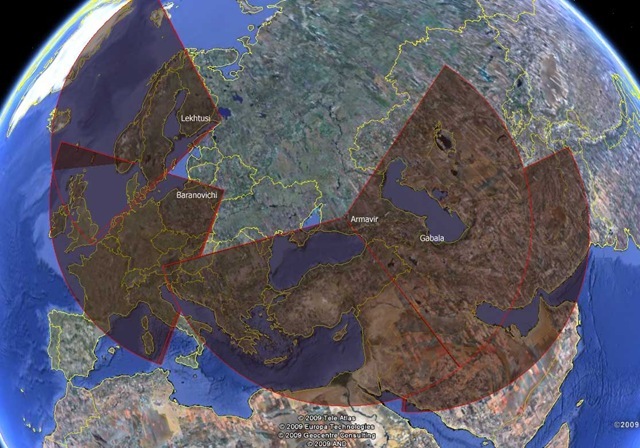 A loss of the radar in Gabala will have another effect - in 2007, Russia proposed using the site as an element of a joint U.S.-Russian missile defense effort (the offer, by the way, was then extended to Armavir as well). It's been a while ago, of course, and the exact status of this proposal is not quite clear - in April 2012 Sergey Lavrov seemed to suggest that the offer is off the table. But just a few days later, his deputy, Sergey Ryabkov, was quoted as saying that it remains in force. The proposal even makes some technical sense (as Ted Postol argued at the time), but unfortunately, the politics of the issue was too difficult for the United States and Russia to figure out. If Russia abandons Gabala, as everything suggests it will, this opportunity will be lost for good. Thank you very much! I guess it's time to update the map. All these photos was made on these radars command posts. You can view both Armavir sectors on this one. 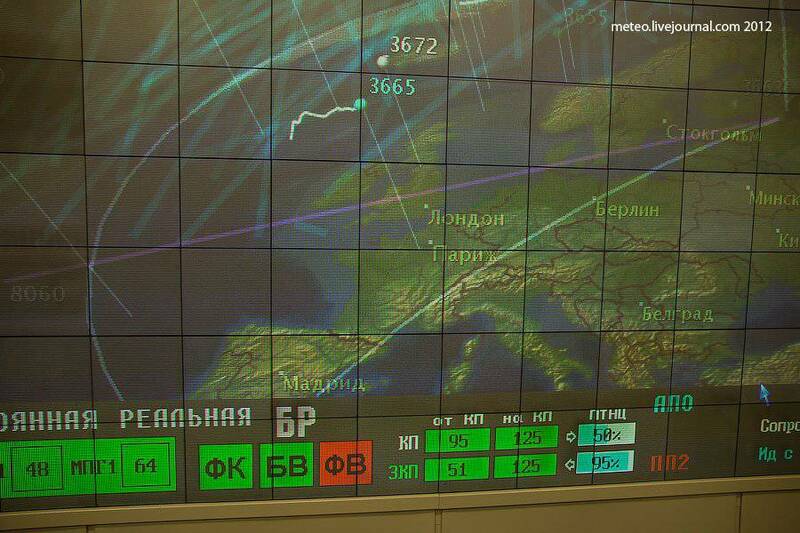 They've announced that they are starting work on new radars at Barnaul and Yeniseysk in 2013.